Get free shipping on all orders $150+ at ELOQUII, your destination for contemporary fashion in sizes 14 to 24. Stylish means you have an idea of who you are and what you want to say. But it doesn't mean hiccups in your style journey. Many of us have those tumbles every now and then. Let’s work to see how to avoid the most common mistakes. It's great that you have found things that work for you, but part of style is expressing the journey that you have not only of your life but your personality. Who you were five years ago usually isn't exactly the person that you are now. That's okay. You need a closet to reflect that . Introduce the new gradually. So you have new standards that are constantly evolving. Tried-and-true will always be there. Introducing something new every once in a while works well. The Golden ratio and your body are best described as follows: Think of your body in thirds as opposed to halves. Viewing your body in thirds allows you to master the art of proportion without even having to try. From your head to your waist is a third; from your waist to your feet is 2/3. Another great proportion to think of is ⅗. 3/5 of your body is from your waist to your feet. ⅖ of your body is from your waist to your head. Dressing up according to these ratios will significantly improve the fit and function of your clothes. Getting dressed is an everyday task you have no choice but to do. But are you present? Sometimes it's easier just to grab and go, not thinking about the decision. But no decision still is a decision. Think about what you are wearing every single day and what that conveys about your personality. It will continue to make all the difference in everything that you do. Stylish is as stylish does. And yet so many women have questions about how to build keep and maintain their sense of style. I have found many of them hold the same principles and ideas true to not only their closet but to their lives let's break down the most common characteristics. You are custom made. So should the feel, look and fit of your clothing. That will never be a negotiable. Now that I am entering the last years of my 20s marching into my 30s, it has been a full-on time of reflection. And I know I'm not alone. Many of my friends older than me now in their thirties and my age have gone through the same quarter-life existential crisis in all areas of life. Clothing & image is no exception. I found myself too old to still primarily shop at somewhere like Forever 21 , but too young to shop at the stores that made me feel matronly. How can I find a wardrobe and clothing that reflected my transitioning into what I like to call “real grown” style instead of play play grown? It seemed like I was stuck in the middle somewhere and I know I'm not alone in this. So how do you get a wardrobe that's grown woman without being too over-the-top while still embracing you're going into a different part of your youth? It seems like I’m talking in circles just trying to explain it. Lol. I do have a few simple, but effective tips that will help you navigate this transitional part of your life. The simplest way to change where you normally shop. There are so many places online and offline since you were in your late teens / early twenties. The possibilities are the truly endless. Break out of your comfort shell and try at least 1-2 new places a month. Even if it's window shopping or browsing just put yourself out there. Search on Google. Ask people on your social media where they shop or the best new places that they have found. You'll be surprised at what answer is you get. I have found my “grown woman style” by stopping shopping fast fashion frivolously and investing and more quality pieces. So much of my twenties was experimenting with clothes , jumping on Trends and kind of figuring out what works and what doesn't work. Now that I have clear style, I want to represent it clearly with my clothing. I didn't quite have that as a younger woman, but now I know what I want. Investing in those pieces is imperative. Yes, I still like trends but now is the time to start investing ensuring that I stick to what I like instead of sticking to what the trend of the year is key. Pull out all of your clothes and look through each piece. Ask yourself if each piece is representative of who you are now or the you at 20? 22? Make sure that you start setting a standard for the clothes that you wear. Always checking in to make sure it's a true representation of where you are or where you are going, not where you have been. The younger you taught you all the lessons that you needed to build this Foundation . Embrace that fully with an image and a set of clothing built on confidence that you know is founded on knowing who you are. Those are just three ways that I have found myself on the other side of the 20 to 30-year-old transition. There is a lot of life that happened in the eight years I've spent in my twenties. The last two years are definitely transitional times that I appreciate much more, having a strong sense of who I am on behalf of my earlier 20s. Whether it's the 30s- 40s , 40s, and 50s, or 50s 60s and beyond, understanding that each transition is just an opportunity for you to get clear about who you are and the standards you have for yourself. Embrace that and get a better dressed you in the process. In my personal stylist journey I have met a plethora of women from all walks of life, experiences and tastes. But there are a few commonalities that, no matter your background, are consistently plagues most. I've decided to pluck and address the top three untrue grievances women hold against their bodies and their style. 1. ) Your body is shaped too weird to properly dress. This is the top grievance that I work tirelessly to eradicate. Every body is beautiful and uniquely made. That does not mean that it is impossible to dress. What IS impossible to dress is self hate and complacency. That is why as a stylist, I actively change the approach to how you view it. Your body isn't weird, THE FASHION INDUSTRY IS. There is no standard sizing system, the size range most women fall in is sold as specialty sizing (AKA PLUS SIZE) and less than 1% of all clothing retailers are consistently advertised above a regional scale. All of this in an effort to sale you a false bill of goods that your body is weird and hard to accommodate. Any seamstress, tailor will tell you different. Mass produced clothes aren't meant to fit you perfectly. They are meant to fit as many people relatively acceptable. Take the time to learn your body and how it's made and you will soon learn of its beauty as a standard that clothes must live up to. Change the narrative. 2. ) Shopping online is too hard and not worth the risk. 3. ) Body shapes only apply to smaller bodies. One of the first questions I ask anyone I work with is "What are your measurements and body type". 9 times out of 10 the answers are "I don't know my measurements and I use to be a(n) _____ when I was smaller. " The problem with this statement is thinking larger bodies do not hold there inherent shape. Usually if you are round larger, you were that way smaller. Yes weight shifts, but you can still be a larger version of the same shape. There are just as many hourglass beauties at a size 28 as there are at a size 8. The number on your tag is irrelevant to how your body is naturally formed. You can have the same body type of your younger self, there is just a little more surface area to work with. For example both Salma Hayek and Oprah Winfrey are the same body type. They both execute exquisite style by working with and not against their natural forms. If any of these misconceptions resonate with you, it's time to revamp. Ask your self a few questions: What do I notice about my body? What do I love about my body? How can I learn more about my body in order to accentuate not only my form, but my personality. 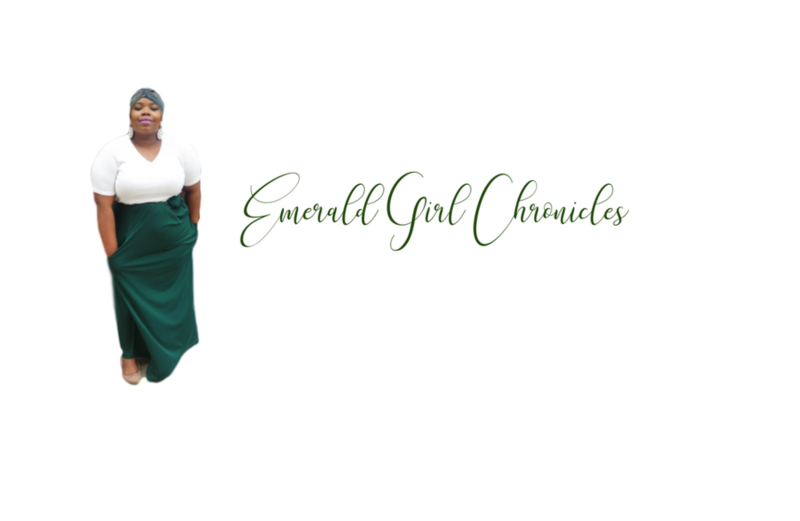 If you need a little more help, contact me @ contact@egchronicles.com . Let's talk about how to get you in the road to fabulous. Over the course of this Labor Day weekend you're probably looking around websites and in stores to find some great deals. It's time like this that you need to remind yourself of what kind of shopper you are. It may seem like it's not necessary, but sometimes knowing the type of shopper you are can help you avoid a few pitfalls. The type of shopper you are directly correlates with how you feel about yourself. For example there are insecure shoppers who shop according to what they hate as opposed to what they love. Not understanding that when you shop like this, you never truly find clothes that you actually want to wear; just clothes that you hate a little less than others. There's also those of you who are label shoppers-- you don't like to wear clothes unless it is a name brand or unless you get an extreme deal on them. Sometimes during weekends like Labor Day, weekend prices are spiked up to be cut down only by 20%. It makes it seem like you get a deal when in fact you're paying more for something that cost less not even two weeks ago. On the flip side, name brands that are making you go to places like outlet malls, don't tell you that the outlet pieces are not manufactured by the same company as their high-end pieces. Then there is the mannequin shopper. They trust the mannequin or the store display to the point where they will buy it off as is, no questions asked.This just compounds wasting time, energy, money and frustration. All of these types of shoppers are about the clothes, sales and store, but not about the most important aspect-- YOU. You should be the most important aspect when shopping. That is why I suggest you become a closet shopper. A closet shopper is someone who knows who they are, and the value in the clothes that they wear. Once you are a closet shopper, you are aware of everything that you wear hats value because you are valuable. No insecure shopper here. Closet shoppers also know that the label does not dictate quality value. Definitely not a mannequin shopper. You can stop in front of your closet and know that every piece is going to be representative of who you are and what you have to say. More than that, you can also take a little and make quite a lot. I myself am a closet shopper and I know that I can take just 10 pieces of clothing and dress myself for the whole month. If you want to change the way that you shop , dress ,and style, come join me here. Fashion is seen as such a creative outlet to many, but few outside of couture fashion houses have looked past previous clothing trend to gain fashion inspiration. My tip is to look at the mundane things of life to gain inspiration, because design is all around you. I look everywhere from detergent bottles to my niece's doodles to a puddle on the ground. The biggest fashion inspiration I have ever received came from a touring petting zoo . Yes-- a touring petting zoo. I went to the annual fair and came across the petting zoo tucked in the back. The most striking animals? A peacock and a young duckling. The peacock's feathers were obviously very striking, but it was its skin that left the biggest impression. I had never seen such a distinct texture in my life and have looked for similar textures within my clothing choices since. The young crested duckling had the most beautifully opaque pink feathers. The way they laid created a soft pink sheen that I had never seen before.I began to notice and appreciate softer pink and suede textures from that forth. That day I had an epiphany-- everything around me is designed. Fashion is everywhere and it's up to me (and you) to realize its presence in the unlikeliest of places. Go walk outside.Look at the packaging of the food you eat.Study building structures. Inspiration will strike when you least expect it. So what do you do once that inspiration strikes? You filter it according to what aligns with your personality and style. Because contrary to fashion, style should only come form you. It is simply an extension of your personality. I look at the inspiration for characteristics I like, but my style is a culmination of not just what I like, but also who I am and what I want to say. It's a lot more layered. That's why it's so important to have clothes that represent you. When you get up in the morning and get dressed, do you feel inspired? Do you feel like your clothes are an extension of who you are ? If not, that's ok. Many people unlearn the creativity that gives their style spice. That's why I'm here. to ensure you get it all back. The first step is getting rid of all the other sources of style that aren't from you. Clean out that closet with me by signing up for Wardrobe Detox here and put all that inspiration and style to good use. At this point, I have a closet full of dresses. More specifically short, sleeveless dress. With my style going through yet another change, I am incorporating more dresses into my eclectic style. It brought something to my attention-- many people don't layer their dresses like their pants and skirts. I think it's the best thing you can do for your closet. I think of it pretty logically. A dress is a shirt skirt combo. It should be treated by such. Once you think of it as pieces of a unit instead of a complete unit, you style as wanted. . I will focus on this very technique with another installment of 3 Ways to Slay very soon. You must think outside of the box when it comes to your style. An article of clothing does not have to have only one purpose. Most of the clothes you wear can be repurposed, or used for different looks. It simply takes creativity and personality. Once you think of each article as a piece of a look instead of a complete look, you open up the possibilities for a signature style. But it starts with you. When you get dressed tomorrow, ask yourself how you can style that a line dress a little differently. A top noted at the side? A tunic? A circle skirt? Try it out once this week and tell me in the comments. If you find yourself still stuck and uninspired, you may need a detox. Sometimes we face lots of "noise" in our closets-- pieces you don't like, that don't like you and that you never wear. That's why I created my Wardrobe Detox. It's a series of masterclasses that help get rid of the mess and allow you to only wear your best. You can find more details here and sign up. Your closet will thank you. Imagine going into a new restaurant and looking at the menu deciding what to order. You know what you like and what you don’t like , so that influences your choices. You don’t waste time or money looking at menu items you don’t like or please you. What makes the choice easier? Deleting the automatic The same thing applies when it comes to style. You want to know what works for you and what works with your style. Knowing the importance of both can save you time, energy, frustration and perhaps even money. So many people don’t have the clue as in what they want so they just buy a bit of everything. This leaves you a bit stressed out because you end up having a closet full of things you absolutely you do not wear. I’ll use myself as an example. If I go out shopping I know what my style is, ain't, who I am, and how to reflect it in my clothes. It’s just about knowing, understanding your body,who you are and what you wanna portray. I completely understand navigating in a career that seems very restrictive, but I’ve also changed my mindset to understand knowing my style Is and Ain’ts is basically custom making what part of my personality I’m gonna show to the world. It is an honor and a privilege for the world to see your personality. You want a sense of peace? Power? A sense of self? If starts with you. Be honest with yourself by setting standards for the clothes you wear. That's why I created Boss Lady Style. I got tired of seeing so many plus size beauties beat themselves up for believing all their style aint's define who they are. YOU DEFINE WHO YOU ARE. That does form a knowledge of everything that makes you unique. With Boss Lady Style I break it down to its simplest form. Go to bit.ly/letstalkboo and let's discuss how to make your style language clear. Now before you write me off as loopy here me out. lol. It all started with sending a friend to the store for party food. She called and asked me what type of potato I wanted. I didn't know so she asked what was it's purpose. LIGHTBULB! Think about it. How many types of potatoes are there? Too many to count. They each have different looks, colors, best uses, taste. DIFFERENT EVERYTHING. That's how I had to start thinking about people and their style. We are all unique in our own way, designed to be best used in different ways for different reasons. That's the beauty in individuality. No one can do you quite like you. You can't ask a sweet potato to taste and function like a Russet. Your style is simply an extension of that--it's who you are, your purpose and personality. That's the power of style. It can be a tool to speak for you in a way words can not. So you're sweet like sweet potato pie, be that boo. More savory and hearty like some garlic mashed potatoes? Embrace it. Now that I'm craving potatoes, I'll leave you with some questions-- Do you know your personality, purpose and how to communicate effectively with confidence and style? It's ok if you don't; that's why I'm here. Come talk to me. Seriously. Let's have a chat to see how we can get you in the right direction. Give me 30 minutes of your time and I promise to bring more solutions than you have problems. Sign up here for your free 30 minute discovery call.You'll even receive a PDF that includes my recommendations and a recording of our call. Give yourself the gift of style now. Can't wait to talk to you! When I originally started this conversation it was talking about a tele summit. It was a teleconference for women who want it to quit the negative things in there life. After my presentation I got a message that said, "You now I love your presentation on confidence, but I just don't know where to start. I want to start, but I don't have the body I want. It's weird. I wish I could be confident like you." I replied that the difference between you wanting and having is you making a choice. And part of making a choice is to stop wearing the excuses, and start wearing clothes . What's wearing excuses? Usually for women it comes to not wanting attention or negative attention, not wanting people to say thing about them. We have been so conditioned to understand our bodies as this unhealthy relationship between us and our scale. I understand what women have been fed. I understand what we have that toxicity internalized so I understand the source of the excuses. But I'm here to help you understand the difference between what you want, deserve and need. It's a choice stop the feeding the negativity. What are you going do to stop the excuses and start your own success?I can get dressed in 5 minutes or 3 hours. It depends on my mood, day but it also depends on me knowing exactly what I want, who I am and not allowing other people's opinions sway how I feel about myself. I wear clothes that adorn my body; not apologize for it. Are you doing the same? If not, you will continue to suffer and so will your business. Confidence is evident when it's abundant and absent. Know that the first step is to come from a place of abundance. Instead of wearing clothes to hide your tummy (Prime example of wearing excuses) wear clothes that reflect your bubbly personality. Or those killer legs. You'll soon find yourself becoming more comfortable with every part of you and excuses will no longer be validated. Every successful entrepreneur understands the need for image as apart of branding. It is an integral part of your success as a business. Click play and understand why. Don't wait for your next level;meet it. Invest in yourself and invest in your business. When it comes to business, image is very important. That includes your image. You are a walking billboard? What are you saying and is it aligned with your business' brand? Success = preparation + opportunity. Are you prepared (with a polished look) for every opportunity (new client) you encounter? Click play and let's talk about it. You need training for your image like you receive for your business. Go to bit.ly/letstalkboo to receive a complimentary call that gives you the first steps to your CEO dreams. Want to take the best next step? Go to bit.ly/shapingnow and take the first step in the right direction. The white shirt is an iconic symbol of classic style. With many classic things, there are many differing versions of it. No matter the variation, it serves as one of the most versatile pieces you can own. There is, however, a very important fact to remember – ALL WHITE SHIRTS ARE NOT CREATED EQUAL. I’m sure you may know this, but you may not know where to find quality shirts. You know the deal. I’ve done the work for you and am happy to share. Keep scrolling for my top picks and reviews. Eloquii- If you are new, you must know one thing about me—Eloquii is one of my favorite stores. You will see it often. like now. This shirt is, not surprisingly of high quality. It has that perfect taut/stretch ratio that all women want out of their shirts. As an essential piece, it stands up to the wear and tear of multiple seasons of use. I love wearing this shirt because it makes me feel secure that nothingwill ride up and be exposed. JCP- This has been my standard for years. The product’s quality has never changed, except to get better. It is not opaque, unlike many similar shirts from competitors. My favorite aspect about it is its softness. The other shirts I’ve come across were great in design, but had material that made me want to adjust all the time. This shirt does not. I often rely on JCP for many of my solid basics because of their history with dependable quality. This shirt is no different. I have this turtle neck multiple colors, but the white is a repeat buy. Macy's - This shirt is a simply must have. It is stiff enough to have some form, but soft enough adjust to natural body movement. The quality is typical Ralph Lauren, so no need to worry. Don’t gasp too hard at the price. A solid white button up should be an essential item in your wardrobe. It is versatile and classic. For this reason, you must consider it an investment that pays for itself over time. This shirt will not disappoint you. Hopefully my list has served as a great starting place for your standard whites. Which one is your fave? Leave your comments below. Winter is THE season for layering. I know I have been harping on the subject of layering, but for good reason. The snow has already fallen abundantly in Chicago, even though it's still technically fall. I go instantly in style auto pilot by referring to my style uniforms. These are simply clothing combos that I can depend on keeping me warm and stylish all winter. I refer to these uniforms for a few reasons. It does the work for me on days that I decide to choose my warm bed over my alarm. I avoid the cold as much as possible. So if I'm running late, I can still ensure that I never look like it. It allows me to use my entire wardrobe all year. Many people put away sleeveless wear and short pieces. Uniforms utilizes these pieces into the layering so that your shorter skirts don't collect dust until spring. So a style uniform is a must if you want to simplify your morning routine. My faves? Do you already have a winter uniform? If not, which one of my faves pique your interests? Let me know in the comments. It's natural to hit plateaus in your style journey. Jolting yourself out of that is essential to avoiding common pitfalls and mistakes. If you have any of these "symptoms", it might be in your best interest to try revamping your entire wardrobe. You often stand in front of your closet full of clothes and repeatedly think you have nothing to wear. It's because nothing inspires you. The initial WOW factor that hit when you first saw the pieces has worn off.You feel like you've wasted $$ on clothes that you don't even like. Yeah.... a revamp is definitely in order. Simply put-- NOTHING FITS. 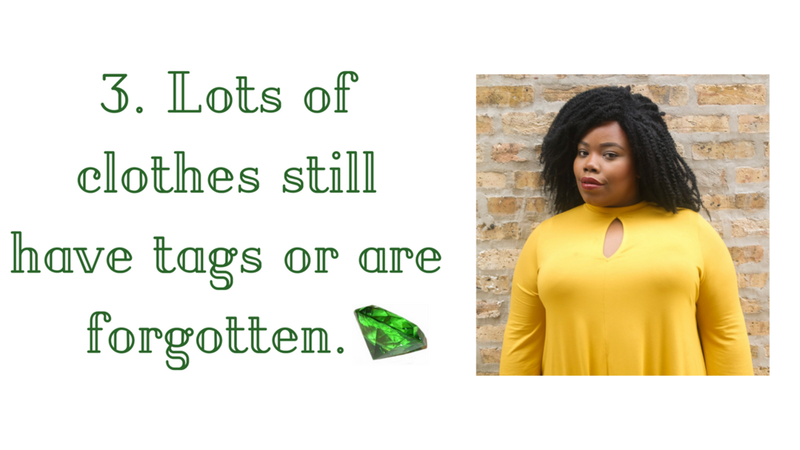 Whether due to weight loss/gain, not paying attention to sizing or acceptance of hand me downs, your wardrobe seems to be made for someone else. You need a revamp to find yourself in the sea of clothes overtaking your closet. Casually going through your closet yields anyone of these responses: "Wow..when did I buy THIS"; "I forgot I even bought this" ; "Why is this still here?". These reactions are usually accompanied with chronically wearing a few select pieces. A revamp is in order so you can save money by eliminating impulse buys. All of the issues you may have will be addressed to alive your style frustrations. If you want to love getting dressed in the morning again, why not try it yourself today?